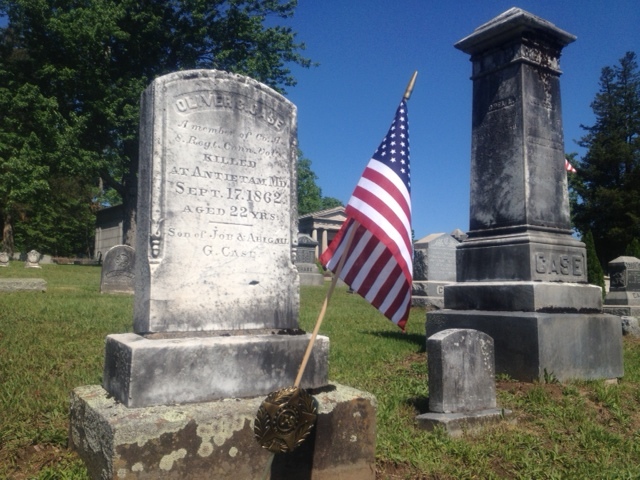 On January 6, 2012, I was fortunate enough to be contacted through this blog by John Banks who is, in my humble opinion, a phenomenal teller of the personal stories of the individual Connecticut Civil War soldiers. While my immediate interest was directed toward only one of those great soldiers, John has uncovered the stories of dozens of these soldiers, many hidden away from the public for 150 years. He has gone hither and yon gathering in the pieces to form their stories for all of us to enjoy on his outstanding blog. John also takes great photographs and has kindly shared a few of those with me. These are all from his recent visit to the Simsbury Cemetery. This is the grave of Oliver Cromwell Case, my Connecticut soldier of interest, at the Simsbury Cemetery in Connecticut. Click on the photo to view the interactive panorama shot. Thanks John for some great photos to remember Oliver! 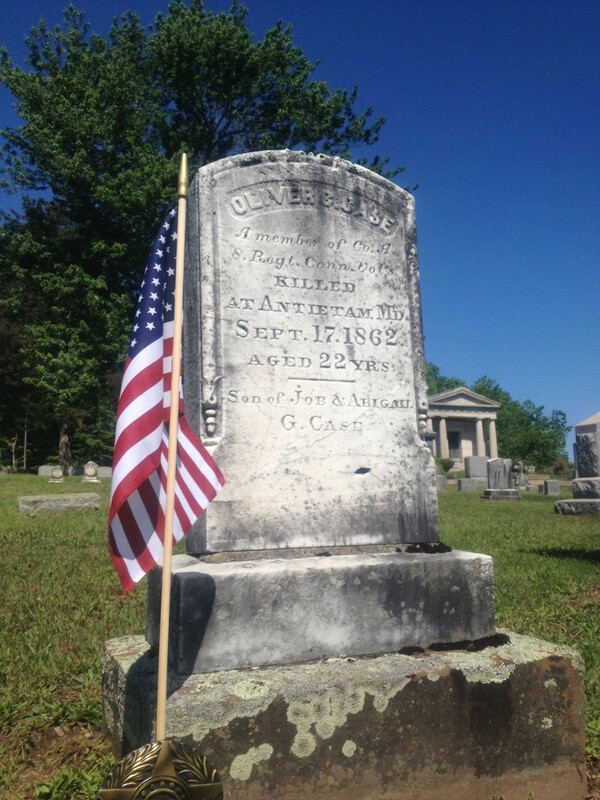 This entry was posted in Simsbury and tagged cemetery, graves, Oliver, simsbury. Bookmark the permalink. ← …so near, that bullets chipped the branches overhead.